The CPA Ethics Exam is required by many (but not all) state boards for CPA licensing in the US. Most candidates take the exam after passing the Uniform CPA Exam. 1. Who administers the CPA Ethics Exam? While some states run their own ethics exam or courses, most state boards pick the Professional Ethics Exam administered by the AICPA. 2. Does every state require a CPA Ethics Exam? No, only 35 or so state boards require their to-be-CPAs to take the ethics exam. Please double check and see if this exam is necessary. 3. Is the CPA Ethics Exam Difficult? Not really. The exam is more like a self-study, open-book test. However, since the passing score is 90 you have to be careful when reading and selecting the correct answer for the questions. 4. Can I Take the Ethics Exam Before I Pass the Uniform CPA Exam? Yes for most states, but I heard that a few (e.g. WA) don’t allow this. In general I recommend that you focus on the “core” exam first. You can always tackle this at a later stage. The CPA ethics exam is a necessary evil — not difficult but something that needs to be done. The AICPA Ethics Course is a self-study course that may be taken online or through correspondence. They try to make it more interesting by adding interactive elements (slide shows) and real-life scenarios to explain the AICPA Code of Conduct, the concept of “independence” and new rules from the Sarbanes-Oxley Act. It feels a bit like a tiny version of REG. All in all, you should be glad to get the CD version — I used to have this thick book with small font and I had to constantly pinch my arms to keep going. If required, your state board will tell you how to take the exam after you pass the Uniform CPA Exam. 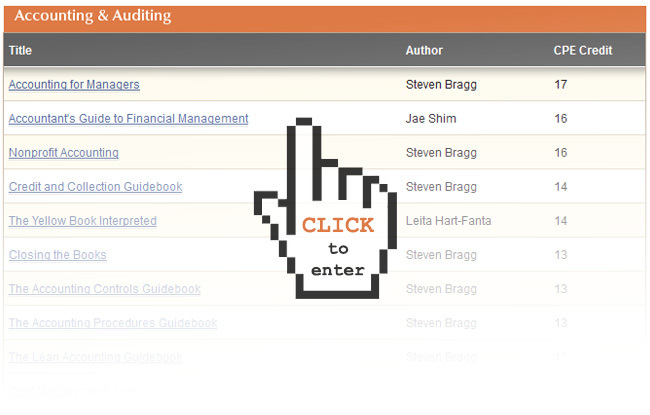 You may also check it out at the AICPA website. The cost of the course ranges from $129-189, depending on whether you have their membership. In case the link doesn’t work for you, the pack you should purchase is called “Professional Ethics: The AICPA’s Comprehensive Course On-Demand (For Licensure)“. You don’t need to spend the full 10+ hours on the course (what a torture), as long as you don’t skip around and miss some important points. Don’t pick the first answer you think it’s correct. Spend the time to read through all. Remember, with a 90 passing score you can’t afford to make careless mistakes. The full instruction can be found in the package. You will find a serial number on the answer sheet (the number that starts with “CPE-“) that gives you the access online. You can get the results immediately upon submission. I don’t know if this still applies, but just in case… don’t worry if you see the answer sheet with 240 slots — I don’t know why but I can reassure you that there are only 40 questions and not 240 questions for the CPA Ethics Exam. If you prefer the traditional way, fill in the bubbles and mail directly to the AICPA according to the instruction in the package. It may take up to 6 weeks to get your results using this method. 1. I need help! Is there any review course? The WA Society of CPAs have closed their “Ask the Ethics Expert” service. For now, you can check out my tips on the ethics section for the CFA exam. Some of the strategies, such as how to develop your ethics intuition and how to think like a lawyer, should be relevant and helpful. 2. I bought the course a while back. Is it still good? AICPA give you one full year to study and take the CPA Ethics Exam. If this is not enough, you can ask for a 30-day extension by contacting AICPA Grading Depart at 1-888-777-7077. My advice though is that you should take the Ethics test as soon as possible (but after the Uniform CPA Exam) and get it done with. It’s not that difficult, especially compared to the CPA exam. 3. I failed the CPA Ethics Exam twice… is there a limit? You are limited to 3 attempts for online submission. After that, you will have to mail the answer sheet to the AICPA. 4. I registered and passed the exam in State A, but will move to State B shortly. I am about to take the CPA ethics exam. Which state board should I send my score to? If your plan of working in State B is quite permanent, you can request sending the score to State B directly and transfer your CPA exam credit from State A to B at the same time. You’ll need to have fulfilled State B’s education and experience requirements for licensing before the transfer. Generally speaking, if State A is a substantially equivalent state, there shouldn’t be any issue. You can contact the AICPA Service Center Operations if you have questions concerning their Ethics Exam. Next Step: Time to Check Out the CPE Courses? without doing the ethics exam in my state(e.g california) ? I live in California and I am a Colorado student, can you please suggest me which ethics exam I should go for as I want to get the license as soon as possible. Secondly, how does Colorado license affects my job opportunities in California. By “colorado student”, do you mean you registered your CPA exam through Colorado? For the CPA exam it depends on the state you registered for the exam — if you go through California, you have to take the California Ethics exam. But if my understand is correct that you sit for the CPA exam through Colorado, then you should take the AICPA ethics exam, the one detailed above. On job opportunites, Colorado is NOT a substantially equivalent state which means that the other states won’t automatically recognize the CPA license from Colorado (at least possibly until 2015, when CO has plans to become fully converted). But it doesn’t mean you can’t practice in California at all. First, if you are looking for non-public accounting work, e.g. accounting department / internal audit in private businesses and corporations, then no problem they don’t care which state you are from but the fact that you are a licensed CPA (from somewhere in US) help quite a bit. It starts to have some impact if you plan to get into the public accounting field and work in the CPA firm… but I would think you can still get hired in the CPA firm, accumulate 1-2 years of working experience there, and then get your full license from California (because with those experience you should have fulfilled also the CPA exam requirement from California anyway) There will be some paperwork and fees, but it is doable. Thanks Stephanie your answer was a great relief. Yes I registered my CPA exam through Colorado. Even I am planning to hold on to my Colorado license for a year and then transfer my license to California board. I will be taking AICPA ethics exam next weak but I am not sure how to proceed with the ethics exam for California board as I think we have to give the ethics exam within one year of passing the exams. Yes, for now you shoul take the AICPA exam and get the CO licensing done first. I think you can still transfer your license from CO to CA with $ and paperwork, but in case if you have challenges in transferring your license to CA later on because of the substantial equivalency issue, you can keep your CO license and wait until 2015 when (keep our fingers crossed) CO will be fully converted. Anyway, you are almost done, at least as a CO CPA. Congrats! Thanks Stephanie, you are doing a great job by helping people like me in their career. Can you please tell me the CO licensing procedure and also can you further explain “substantial equivalency issue”. My CO license is in process. I have passed the AICPA ethics exam and I received the Certificate of Completion which i have submitted along with my application for licensure. Now they want my “Ethics Score” and i have no clue where i can get this. They have asked me to contact AICPA to forward the “ethics score” to CO? Is this easy and fast and how can i do it i mean, just one email to AICPA will do? I need an answer to my below question. I have noticed that some of the accountants are having a signed and stamped letter (Without Reference Number) from California Board of Accountancy indicating that they have successfully passed all sections of the Uniform CPA Examination with grade of 75. Is this letter mean that they are a CPA,s or what it is mean. I didn’t go through California, but it looks like it is the congratulatory letter from the board of accountancy telling the candidate that he/she has passed the exam. The holder of this letter is not yet a CPA — for California, they will have to fulfill 1-2 years of working experience (depending on the degree attained) before they can apply for the CPA license. You can get more details here. I would like to apply for AICPA license in Guam so I want to transfer my Colorado AICPA score to Guam. Is there any request form for grade transfer? I’ve checked NASBA website but I can’t find it. Besides, do I have to transfer Ethics exam score,too? Yes you are right… the guam board of accountancy site doesn’t seem to work. It should be http://www.guamboa.org. Why don’t you just give them a call at 671-647-0813. I have passed the CPA exam in Colorado in Aug 2009. Right now i am preparing for the Ethics test. Is there a time limit within which i should pass the Ethics test after passing the CPA exam? Being an Indian Chartered Accountant I understand i have to get my Indian qualification evaluated as a part of the procedure to apply for the CO License. How does this work? Also can i mention myself as CPA in my resume while applying for jobs in US, while i am preparing for above. We’ll need to double check, but I believe you have 2 years to take the CPA ethics exam after passing the Uniform CPA exam. If you are thinking about the education in lieu of experience route from Colorado, and I assume that you attain your degree outside the US, then what you need to do is to resubmit your transcript to one of the accredited evaluation agencies and specifically ask them to evaluate based on this education in lieu of experience. In terms of whether you can hold yourself out as CPA on your resume, no, not really but what you can say is that you pass the Uniform CPA exam, or that you are “in the final process of obtaining the CPA license”. Something along this line should at least give you some credit. Can I take the California Ethics Exam before *qualifying* to take the actual CPA exam? I still don’t have the 24 accounting units required to sit for the CPA exam but while I get them I would like to get the Ethics exam out of the way. Hi Maria, not so sure… but I would probably wait because the ethics exam is nothing compared to the Uniform CPA exam. I went through the AICPA version but from what I heard it isn’t too much a difference. For me it took me a couple of half-days to study, complete and pass. Just want to chime in on the Ethics exam topic, I recently took it and it was much easier than I expected. My strategy was to hit questions directly, I was able to look up the corresponding sections and find the answers. I spent probably 4 hours to complete the whole exam. Most of the questions are pretty straight forward and the best part is that they are printed in the same order as the study content. I scored a 95 on the 1st try. Nice to hear from you again. Your strategy sounds great — so no need to spend the extra time reading the material first.
? what if I plan to pass and get certificate in any state and then later if I want to practice in VA can I transfer? Yes it is compulsory for almost all state, except maybe New York. Again don’t worry though it is open book and as you can see some of the readers can complete and pass within a few hours. On the transfer, actually the best way is to register yourself via one of the substantially equivalent states, which allow you to automatically qualified to work as public accountant across the country. With your M.com + MBA I think this is very doable. thanx for that really quick reply…. Really very simply you made me understand…Thanx and will keep in touch for further suggestions. What is the duration of ethics’ exam? There are 40 MCQs in whole exam. Which state did you register in? For most state you’ll need your employer to sign the work exprience verification form. Please go to this page on CPA exam and licensing requirements and find a link to your specific state. You are doing a wonderful job by helping out people in their CPA journey. 1. You can order the text/CD rom directly from AICPA (either click the link above or here). I personally prefer CD rom because it’s more interactive (kind of like a slide show) thus a little bit less boring. Also you can submit your score online and get the result instantly. But the content is exactly the same so please pick based on your test-taking style. 2. If your experience in India is supervised and can be verified by a CPA US licensee, then it can be recognized. I am not sure about CO but some states also recognize CPA equivalent (CAs in Canada, and CA/CPA in Australia) for the verification. CAs from India cannot be counted unfortunately. 3. If you go through the education in lieu of experience route, then yes you need to resubmit the transcript for evaluation for that particular purpose. Make sure you state it clearly in your application to the agency. You can also call/email them to make sure this is the case. 4. No, no need to call them. They will ignore you anyway (as you have experienced). Simply order the AICPA ethics exam, do it, pass it. If you fill out the information correctly at the submission the score will be automatically sent to Colorado State Board. 5. Yes it usually takes a while to get the congrats letter. Some state can take a few months. Hopefully it’s better in CO.
thank you very much for a prompt reply. I registered in Louisiana. I want to know about the work experience letter-how specific it need to be and what CPA board is looking for in a work experience letter. Thanks for your quick reply. Yes, it helped me a lot. So firstly, Iw ill go and finish my ethics exam and then move forward. I have one more question, that if I order text instead of CD, so can I give my exam online? If not, then I will surely go for CD. Also as you said that the content is same, you mean to say all the material. Am I right? Hmmm… interesting question. I have no idea whether you can submit your answer online or not with a text book purchase. The best if for you to check with AICPA directly. Otherwise, I am sure the CD Rom version allows you to do both (either online or by mail). Thanks for your help again and you are doing wonderful job ..God Bless you! 1) I recently passed the examination in CA and wanted to transfer my credits to CO. Aside from meeting the Experience/ Educational requirements, are there any other requirements needed (ie, CO forms needed to submit to CA to request my credits transferred, etc)? 3) Education in Lieu of Experience – if I wanted to complete this online – will that be counted/is that allowed? 4) I do not live in the US nor US citizen – is SSN required? 5) I am quite uncertain about the process of Ethics Exam – I just want to confirm if i understand it correctly – If in case I purchase a material from AICPA, they will give me access to take the exam online and will the result will be submitted directly to the Board? What if I fail on the first try? For the Ethics exam, you have a choice of text version and online version. If you choose to send the results online, then they will do that. You can submit your answers 3 times (i.e. allowing for 2 failures). And even after the 3rd time, I heard that AICPA will let you take it again but you’ll have to contact them. I have completed my CPA and ordered for the Ethics course. As per the discussions, I have a timeframe of 2yrs to complete the same. I wanted to know what kinds of questions appear; i.e. is it a story based (case study) or theory based multiple questions? What is my next step after taking the Ethics Exam? In addition, we have received a answer sheet of 240 questions! How many questions exactly appear on the exam? It is essentially 40 random questions covering the course you got along with the answer sheet… don’t worry they are much easier than the Uniform CPA exam, and you get 3 chances. Yes there are 240 lines on the answer sheet but you only need to fill in 40 for the 40 questions. This is a common question I get so again no worries you do no need to fill out all of the 240. I am MO candidate. I’ve already passed four parts of CPA exam. If I don’t submit the application for initial license, is there still 2 year timeline for the ethics exam? What if my current job is not accounting related, when will my four part grades be expired? On the other words, What is the latest time I have to find accounting related job after passing four parts of CPA exam. Yes you get two years to work on the CPA Ethics exam whether you pursue the license right away or not. And on the “expiration date”, I think most states have it at 10 years, but states such as Colorado is only 5 years. So please put in a quick call to MO state board and see what is their latest rule on this. I am a HI candidate and I recently passed the uniform CPA exams. I would like to apply for my license in VA. Could you please advise as to whether I should take the AICPA ethics exam through HI or transfer my credits to VA and take the ethics exam through VA? This is a great website and the forum has been really useful too. I do have two questions though. I have complete the CPA examinations and have ordered the AICPA Ethics CD, which I’m planning to take in the next couple weeks. My problem is that I do work as an accoutnant but not under a CPA. Does this qualify as experience? My CPA credits are under IA but I’m currently working in TN. Also, I read that IL issues what they call ‘CPA Certification’ for candidates who have passed the CPA examinations and ethics test with NO experience. As a non-resident to the state of IL, can I transfer my credits there to get this? First of all thanks for your kind words! I am afraid that experience without the verification from CPA won’t work. For Illinois, yes you can certainly switch to IL as long as you have already fulfilled the 150 credit hour requirements. Also, just make sure you are fine with getting the CPA certificate only. For the difference between cert vs license please click this link. You can also check out Illinois CPA licensing requirements here. I only passed one exam in New York, but I am going to move to CA…Can I transfer the score to CA or do I have to retake the exam in CA? Thank you for being a great help to all CPA students. You are really doing a great job. I had my education credits evaluated in April this year so do i again need to go for evaluations in order to apply for license? Can you please explain education in lieu of experience i was just confused with it. I am new to this website, after going through all the above queries about 70-80% of my doubts are cleared. I thank you for that. However, I am having certain queries, your help will be highly appreciable. I have cleared all 4 parts of the CPA examination this November 2010. I am registered from CO Board. As far as my education is concerned, I have completed my Bachelor’s (3 yrs) & Master’s (2 yrs) degree in commerce from India. I am also an associate member of the Institute of Chartered Accountants of India. Can I qualify for the “education in lieu of experience” route as the experience gained under Indian Chartered Accountants is no longer recognised? I had applied for Evaluation (FACS) before registering from CO Board for CPA exams. Do I need to again apply for evaluation? If affirmative, is there any appropriate form available for the same? Can I get a CPA license from CO Board being a Resident Indian? I just want to say thank you in advance, and sorry if the following questions have already been clarified. 6. To my understanding, the state of Colorado offers an affidavit which can be signed if a CPA candidate does not have a SSN. Finally, I just wanted to confirm that there is NO way a Canadian citizen can obtain a SSN without a letter of employment or a sponser from a US company. I have a question about the ethics exam. Are the questions from online and ones from paper are the same? I just found out that they are exactly same. I heard that to qualify for the Exam, they will run a background check for the applicant. what if I don’t have a good credit history? Doest that affect my elegibility? A wonderful job indeed, you are doing! 1. I passed my CPA exam in 2007 from Colarado. I have the relevant experience of more than 10 years. I live in India and I am in government job. 2. What I need to do to apply for Ethics exam, CPA certificate, and in future license if I wish for. Thanks for all the information that you have posted here. Helps a lot!! I have a question…..What is the duration of the CPA Ethics exam? I am planning to take the online exam and I know that it is an open book exam, but I couldn’t find any information on the time duration of the exam. Hey every1 i m registered with Colorado state board but isnt the CPA test the same all over?? also its been a while when i sent my papers for evaluation to CO board and i got through 3 sections first section expires on 31 may. i have give the last section in jan which i m expecting my scores in march..
long story short can any1 pls jus guide me with what exactly is Ethics test and is ever1 required to write that?? i passed 2 sections from NY state and 1 from NJ. I am appearing for the CPA exam from CA board and done with AUD and BUS until now. Hoping to get all done by July’ 11. I am an Indian on H4 visa which restricts me to currently work in USA. Do you have any guidance on how to get sponsor companies for me to get started with internship after I am done with credits for all four exams or even before ? Also, A word on Ethics exam will be kindly appreciated…. If i will clear 4 CPA Exams. Is that mandotary to appear in CPA Ethics Exams. I want only CPA Certification degree not require CPA License. I have got FACS Certification in November 2007 , but since i couldnt take the exam since 4 years. I wish to know whether my FACS certification holds good now also for taking up the CPA exam . Well, a few states don’t require you taking the CPA exam (e.g. New York and New Jersey) but they may ask you to take an ethics course. Colorado has undergone quite a few changes since then so hopefully it won’t affect you too much. First, you should first check with your experience can be verified by an active CPA licensee. If this is fine then things should be easy. You will have to take the ethics exam but some states may require you to take additional course after two years of passing the CPA exam. Please check with Colorado board for details. Please read this page on this subject and ask any question you may have there. Finally, if you have a questions specifically on the CPA ethics exam, then please scroll back up and find the heading “Your comments are most welcome” and drop a note for me there. Thanks! I purchased the AICPA comprehensive ethics material 2 years ago. I am going through the CD lessons right now but I am worried that some of the materials have outdated. Can I still take the exam using the old CD-Rom or do I need to repurchase the current version of CD? what is the allotted time for the AICPA ethics exam? I am confused about the CPA exam requirements. I am an Indian and looking forward to do CPA under newyork state. I have Bcom(A/F) 3 years and Mcom (part time) 2 years qualifications. Am I eligible for the exam? Can I use my experience for getting license? Or can u suggest any other state under which I can qualify to get license easily for with this qualification and experience. Hi – I passed all 4 CPA exams in 2007 after registering with Colorado State Board. I was in Connecticut (CT) when I passed the exams and never took ethics exam or CPA license. Currently, I’m in CT and wanted to find out if I’m still eligible to apply for CPA license in CT. I have more than 10 year of working experience in Finance Department in a big company and more than 5 years in US. Appreciate your help – Thank you. I am an out of state CPA. I have only one more hurdle regarding transcript evaluation for the California Board and the Professional Ethics Exam. Is the CA PETH test format one where you are given the test, a work book and a bubble in sheet at the onset. Then you can study keep your notes on the test sheet, finally bubble in the response and either post on line or mail the sheet in? Hi Bill, I am afraid I have never seen the California PETH exam… From what I heard, it should be pretty simple compared to the Uniform CPA exam. I’m Van- a Vietnamese accountant, works for US company with branch office in VN. My parent company in US requires me to take “Professional Ethics for CPAs in Business and Industry” certificated by AICPA according requirement of auditor. I cannot access to join this course because I’m outside US. Can you help recommend the similar course as well to have a chance to take this certificates? Hi Van, I thought this course is online? knowledgable about this qualification now. CPA is my dream and I want to get the License as early as possible. good enough for me to get the desired knowledge about IFRS. Kindly let me know your thoughts regarding this issue. Hi Stephanie! Thanks for this very informative post! My question is can I have an AICPA member buy the Ethics course for me so I can get it at a lower price? Is that possible? For the on-demand course (for licensure), the exam that appears after you complete the course is the one you need to pass, right? I don’t see a serial number provided with the online course. I pass all my CPA exams back in August 2010 in state of California. For various health and personal issues I did not get to sit for the ethnic exam. Can I still take the exam and get certified? I passed all 4 CPA exams in 2016 after registering with California State Board. I have still not taken the ethics exam and want to know if there is a time limit for this?. Also please share the details on how I can complete the ethics exam for CA state.